To get your referral link, you must first create your account on the My Account page. Notice and copy your referral link (on your account dashboard such as this). Share your referral link to your Friends, Families, and Social Media sites. When users purchase a vaccine (no minimum purchase) successfully, you will receive an e-mail. Copy your Coupon Code, and apply them on your next purchase (no minimum purchase). 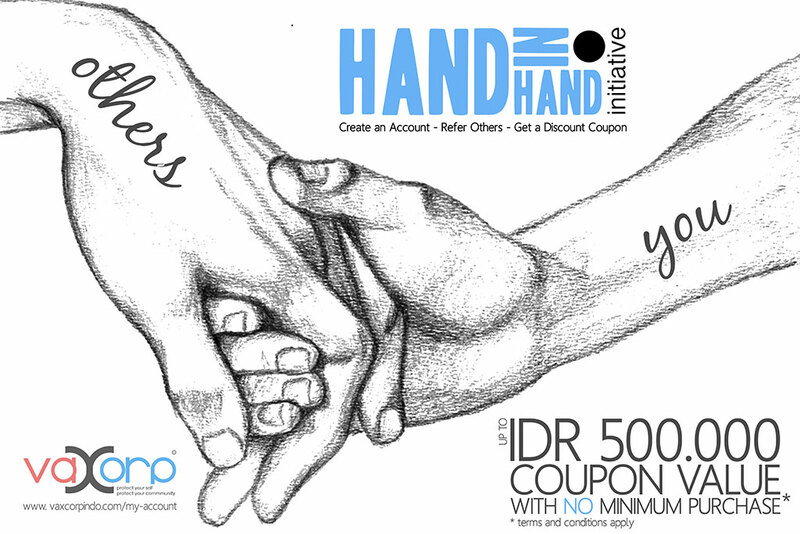 Enjoy a IDR 100.000 discount. Each Coupon Code is valid for 1 (one) use only. Each Coupon Code is valid for 1 (one) user only. Each Coupon Code is not valid to be used in conjunct with other Coupon Code. 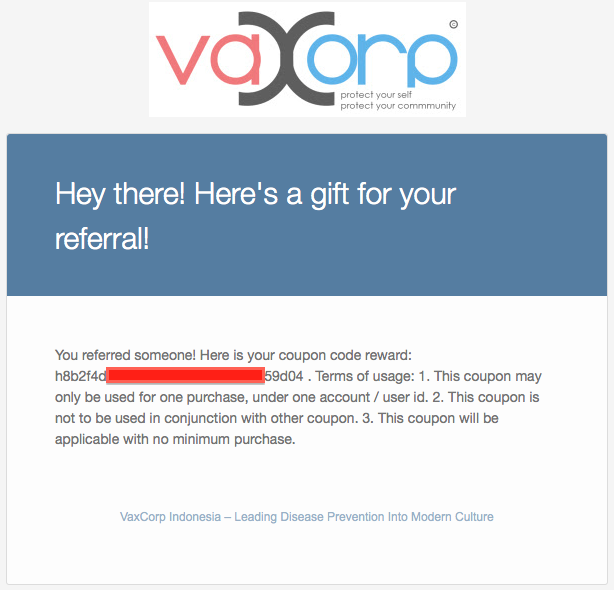 Each user may receive and redeem up to 5 (five) Coupon Codes from 5 (five) different referrals. The nature of your Coupon Code is specific to your Account ID, and therefore shall be kept private, and for personal purchase. 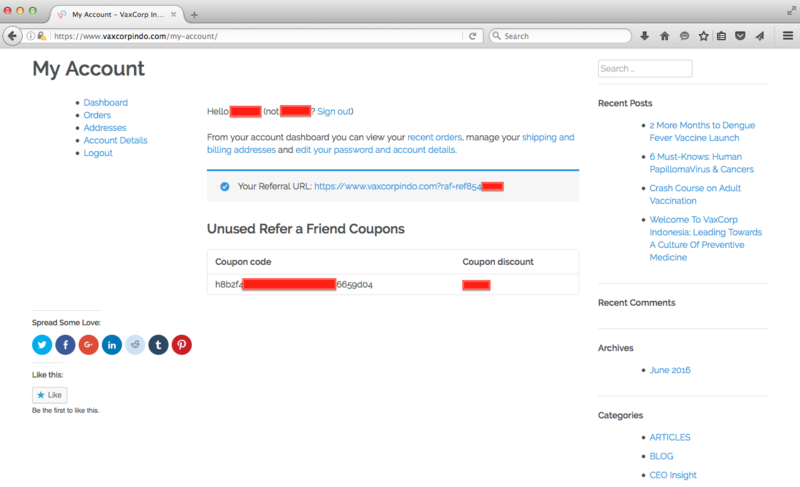 The Coupon Code you receive will not be applicable to be used by another user with another Account ID.